The shoe is on the other foot now and I the patient have become the carer. Getting old is hard as we had such plans for our retirement and here we are with the plans in shreds and all we think about is Mesothelioma and Asbestos which has bought Chemo and Immunotherapy to our world Ray had a heart attack as well and had to have a stent. He has been through so much bless him but he has always been a wonderful carer and backed me in what ever mad scheme I have planned. Now Ray is going through all the worry of lumps in the throat and Groin and the long waits for scans and treatment. He had an ear ache that was horrendous and I found him stamping his feet with his head bent into his hands on morning. Then it went and I said maybe crystals are passing through to your lymph glands just like stones pass through the kidney. Then a lump appeared in his groin so I convinced him to go to the GP. He did and he had a xray where they were not happy so an ultrasound bi-op was arranged. Well. I had a full diary of speeches and my own appointments at the Marsden so trying to fit even more appointments became a juggling act. We finally got a date that was Ok and so the day arrived this week and we trotted off to the Kent and Canterbury Hospital on Monday. Up early tomorrow. I have my Ultra sound and Bi Ops at 10.30. Waited Long enough. Well been to get my bi op. Total waste of time. 4 hours of titting about. I get ushered into a room and told you are in here for special treatment. 15 mins later they take me in. Just lay on the couch . next jelly all over my throat, a guy is ultra sounding my throat about 3 mins . OK all done ! You can get up now. What that’s it. All done, No needles nothing. All Done she repeats ,you will get results in 10 days. I could have had this done at my local just 5 mins in the car up the road. Ive waited weeks for a specialist who can do the bi op. And I didn’t get it. Now depending on the results whether I have to return and get the Bi op. No wonder NHS is in crisis. Now next a quick snack and a 150 mile round trip for Mavis`s Scan. No peace for the wicked they say. After the Hospital Fiasco this morning. I was there for a Scan and a Bi op on my Throat . Well that’s what my letter said.. As I said this morning that I was in and out in less than 5 mins getting an Ultra sound on my throat All done she said . I said what that’s it all done nothing else no needles? She repeated all done. So after wasting nearly 4 hours we came home This afternoon we had to go to the Royal Marsden for Mavis`s scan. I was sitting waiting for Mavis to come out from the scan when my phone rang. Hello This is the Hospital. There was an error with your appointment . Can you come back in the morning. for a biop on your throat and groin. So I was due 2 bi ops that wasnt in my letter. You didn’t get all the procedure. We can do it for you in the morning. Strange I’ve had to wait weeks until a specialist was available. But because they cocked up I can see him in less than 12 hours notice. So now it’s another 4 hours tomorrow. So watch this space for follow-up tomorrow. Well a better day today ,even though they were still confused. I asked what went wrong yesterday and it was explained to me. It’s the system . So today I actually had an Ultrasound and biop on my lump. Not to painful ,but at least its done now. So I had sat there yesterday as Ray went in for the Bi-Op he was a brave soldier its me that is falling to bits as if there is bad news we have to manage two cancers in our house hold. We have always believed that as Ray has scarring and air pockets in his lung that he has escaped asbestos cancer. We know though that it can present itself in other places so we are very worried. But life does go on and we will learn from my cancer that you can live with cancer and enjoy life. His results wont be as quick as mine that’s for sure so the long wait begins. 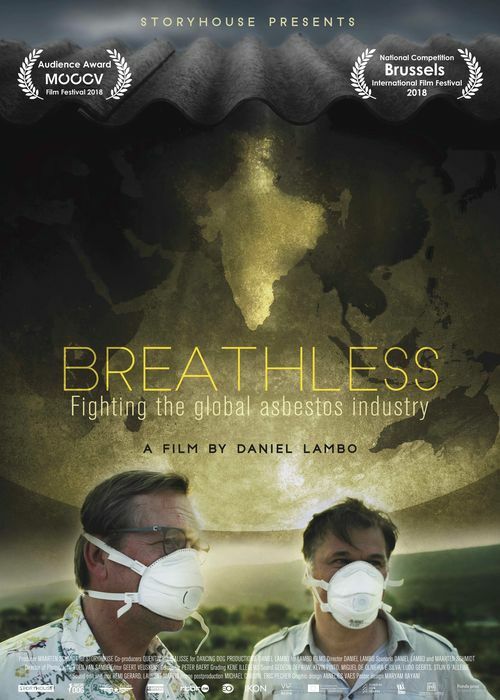 A Diary Of A Mesowarrior Living With #Mesothelioma #Asbestos — Breathless A revealing documentary about individuals fighting the global asbestos industry. We travelled to London yesterday afternoon in a very bitter wind and was just a little worried we might get caught in snow. It was that cold. Then so many friends arrived and amazing Sanjay Popat was there as well so proud to sit beside him to watch such a mind shattering film. A revealing documentary about individuals fighting the global asbestos industry. 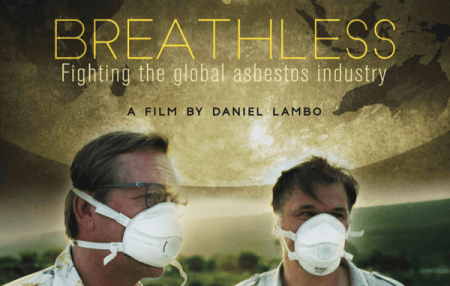 The UK premiere of an award-winning documentary called “Breathless” on the impact of asbestos in the developing world countries will take place on Saturday 27th October. Breathless will be shown at the Institute of Contemporary Arts, The Mall, London. Following the deaths of his father and many others from his village, filmmaker Daniel Lambo sets off on a passionate quest to find the truth about the deadly asbestos industry. His search takes him to the largest asbestos waste dump in India and unveils an cold-blooded industry still endangering the lives of workers and consumers around the world. In India, the asbestos industry continues to expand which will cause asbestos-related deaths for decades to come according to the film makers. We all watched the film which was so hard-hitting and it made me realise that I do what I do because we Victims have been dealt a miscarriage of Justice – If we have had any Justice at all. Asbestos is killing more people than anything else in an industrial world. We can double the published figures by many organisations as so many are going unrecorded world wide in bid to hide the facts due to so much greed. I was surprised they told the whole story of the Spies and Corruption well done !!! It is alleged that Mr Moore claimed to be a journalist who wanted to make a film exposing the hazards of asbestos and to establish a “Stop Asbestos” charity, and that under this cover Moore embedded himself into the heart of the network, and from 2012 to 2016 gained access to an array of highly confidential and valuable information, which K2 passed to its client. When the film finished I turned to Sanjay and went to talk but I couldn’t I would have burst into tears and Sanjay was the same. Here I was sitting next one of the Doctors that devout their life to helping us patients find treatments of this terrible disease. We just squeezed hands and our eyes said it all. I was able to go on stage and thank Eric Jonckheere and Krishnendu Mukherjee as a representative of the Mesowarriors (The Victims ) for the film and for raising so much Awareness of our plight around the world. And Pray Linda gets her hard work recognised in the US and let’s have a world-wide ban. PLEASE !! I’m so proud to be known as a Asbestos Activist why wouldn’t I -Asbestos Is trying to kill me for 10 years now I’m a Mesothelioma sufferer Please find the reason why I’m still here to fight the cause what is my DNA all about that Immunotherapy is working so well ??? This week I had the pleasure of interviewing Eric Jonckheere and Krishnendu Mukherjee (aka Tublu) who are the masterminds behind the moving documentary Breathless. In the interview, Eric and Tublu talked about their experience during the creation of this documentary, and the global importance of the film. They also discuss ways you can help, and give the audience a raw display of the dangers of asbestos and the need for a global ban. Linda: Introduce yourself to our readers. Eric: I am Eric Jonckheere, a Belgian victim of asbestos and president of Asbestos Belgium Victims Association (Belgium) My profession as an airline pilot and having suffered the loss of 4 close family members have made me an anti-asbestos world activist. Tublu: My name is Krishnendu Mukherjee (aka Tublu). I am a barrister and Indian advocate based at Doughty Street Chambers in London, which is one of the largest collection of civil liberties and human rights lawyers in the world. I originally specialised in immigration law, but since 2010 I have been working on issues of occupational health, including asbestos-related diseases in India, filing compensation and remediation claims in India and abroad. Eric: After the first ever asbestos court case won by Francoise Jonckheere, a housewife in Belgium, filmmaker Daniel Lambo, who’s father had worked at multinational Eternit. He started following our court case and soon found out Eternit had factories in countless countries. Tublu: Breathless is a film about the export of the asbestos industry to the developing world, focussing on a Belgium company ETEX/Eternit, which operated factories in Belgium and in India. The film shows how the same company knowingly harmed a Belgian community in the 1970’s and then did exactly the same in India in 1990’s. There can be no excuse, no justification for doing that. For me, it is simply criminal to harm people in this way, especially when the company knew that the local people depended on the company for their livelihood. In the film Eric says: “We trusted Eternit, but they lied”. Linda: Why is Breathless important to India and the world? Eric: Tobacco, asbestos, or chemical multinationals have invested heavily in third world countries to avoid rules getting stricter in Europe and North America, where workers are less protected and deals can be made with local politicians. Once they leave, multinationals leave behind misery, sickness and pollution. Tublu: People don’t know that the asbestos industry continues, despite being banned in 60 countries in the world. People in the west think its history, and people in countries like India, don’t know the dangers. So the first important aspect of the film is that it tells people of this fact. It also illustrates another important issue, the issue of corporate governance and accountability. Corporations which operate is poor legal systems, can bankrupt themselves, sell factories and withdraw from the countries to avoid liability, frequently leaving the affected people without a remedy. Corporations must behave like ordinary citizens ensuring that they remedy and compensate for their mistakes. Linda: Share the details about the upcoming screening in London. Tublu: The Institute of Contemporary Arts have kindly agreed to host a joint Human Rights Watch and Doughty Street Chambers screening on the 27th October 2018 at 16.15, followed by a Q&A with Baskut Tuncak, who is the UN Special Rapporteur for Toxics. I am excited about it and another screening on the 26th November at the UN Forum on Business and Human Rights in Geneva. Linda: What can our readers to do help? Eric: Legal action must be taken to make Eternit pay for the cleanup of the mess they left behind and pay to compensate for the medical costs. Initiating a court case against multinational Eternit in Brussels will be costly. As the Indian victims struggle to make ends meet, they do not have the means to seek Justice. Through a worldwide crowdfunding action, we hope to help these amazing resilient people. Tublu: We want to have simultaneous actions and campaigns in Belgium and India for the victims of asbestos. The case in India will be primarily focussed on remediating the asbestos waste dump in Kymore (near Bhopal) which is the subject of the film. As the victims are not corporations this can only be funded by a crowdfunding campaign which we hope people will understand that need for and contribute to. ASR, a family run asbestos removal company who are dedicated and committed to providing a comprehensive service that ensures customer satisfaction Whether you need an asbestos report, believe your team need asbestos awareness training or think your property needs asbestos testing and analysis, we will have our team at your disposal so you can fully utilise their knowledge to find the option best suited to you and your needs. We stayed in the lovely hotel La Collinette which has the history of being taken over by German Soldiers in the occupation in the war. We had flown over with Paul Leigh from We/Fit RPE Accredited Fit2Fit Face Fit Testing Provider, Basildon Essex. Ray and I told our story but I was able to be able to talk about the Guernsey and Jersey mesowarriors not having the support of the Governments with a scheme of compensation to help those that like me can not claim. Deputy Matt Fallaize is the president of the Education committee but also a member of the Employment & Social Security committee. Has been battling away for Mesowarriors. Calling all employers / employees / homeowners / estate agents / site workers / landlords / asbestosis or mesothelioma suffers. You are invited to attend the Guernsey Asbestos Awareness and Information Conference. Speakers: Mavis Nye, BCAh Co-Founder of the Mavis Nye Foundation, Ray Nye, Vice Chairman of the Mavis Nye Foundation, Keith Beacham, Asbestos Consultant / Health and Safety Officer, S503 CPP, IOSH and NEBOSH, Paul Chamberlain, Director at Wefitrpe Ltd, Accredited Fit2Fit Face Fit Testing Provider. Similar conferences will be taking place in Jersey very soon. We said our goodbyes and then sneaked out this morning at 6 to get a taxi to the airport. We travelled up on the Thursday after leaving our beloved dog in the kennels and rushing to the station for the train to London than Tamworth arriving at the hotel at 1pm. That was an easy journey. Then we got ready and and was in the taxi to travel to the Night At The Races. The idea for the Arboretum was conceived by Commander David Childs CBE in 1988, who wished to establish a national focus or ‘centre’ for Remembrance. Following a meeting with Group Captain Leonard Cheshire VC, an appeal was launched in 1994 by the then Prime Minister, John Major. He believed that the Arboretum would form a living tribute to service men and women for future generations to reflect upon and enjoy. The future of the project became assured when three proposals were agreed. These were: for the site to be the location of the Armed Forces Memorial; for the Ministry of Defence to pay a significant grant-in-aid to allow for free entry and that The Royal British Legionwould accept the gift of the site as the focus for the Nation’s year-round Remembrance. So this was the setting for Mesothelioma UKs 9th Conference so in away I to was celebrating my 9th conference as Im coming up to 10 years of survival as my story started 1st Jan 2009 with a burnt arm and a diagnosis of a Trapped Ulnar Nerve. We all greeted everyone and had a welcome drink and then sat down to a wonderful meal. I sat next to Environmental Essentials James Wakefield who a colleague on Linkedin said An honour and privilege for James Wakefield when he met the amazing Mavis Nye BCAh at the Mesothelioma UK ‘A night at the races’ event. Thank you Mavis for taking the time to share your incredible journey with us and for all your hard work and dedication towards your charity work.—-Believe me the honour was mine as this delightful young man and his colleagues kept me amused all night as we bet on the horses. What an exciting night that must have raised so much Donations. There wasn’t many Mesowarriors there but those that were we had a hug and really enjoyed ourselves. Brian Wallis who is very involved with Mesothelioma UK Armed Forces initiatives, was so kind to take up back to our hotel and we fell into bed at Midnight knowing we had to get up early in the morning. We managed that as the alarm rang to get up and shower and set off with Marika And Yvonne of LASAG Support Group who lucky enough were staying at our Hotel. It was a very informative day as we learnt so much. David Bardell gave a talk about the Arboretum. Dean Fennel told us of the latest trials and treatment. Genetic assessments of patients may also identify which are likely to respond better to surgery as well as chemotherapy, and genetic research could also investigate why some patients’ personal biology means the disease progresses very slowly. Other positive developments include the government’s identification of mesothelioma as a research priority, while healthcare professionals and scientists are increasingly interested in working in this area. The Mist trial First arm this month it has taken a while to set it up. Avastin Chemo known as Bevacizumab is sometimes classified as a chemotherapy drug, but it does not fight cancer in the usual way as a cytotoxic agent attacks the disease. Whereas typical chemotherapy attacks rapidly dividing cancer cells, this drug ensures that tumors don’t receive necessities like oxygen and nutrients. seems to still be to expensive for the NHS so Patients are still paying. The room was very long and narrow so I wasnt able to ask questions I wanted to ask about this and the CIRUS trial and when they both will be trailed here in the UK. And Rare cancers do better ? Gut Bacterial Dean Is researching more — COULD THE SUCCESS OF immunotherapy rest on what kinds of bugs live in your gut? Recent research findings suggest yes — and point to steps that could help patients get the right microbiotic mix before beginning this type of treatment. Vaccines represent the discovery of utmost importance for global health, due to both prophylactic action to prevent infections and therapeutic intervention in neoplastic diseases. Despite this, current vaccination strategies need to be refined to successfully generate robust protective antigen-specific memory immune responses. To address this issue, one possibility is to exploit the high efficiency of dendritic cells (DCs) as antigen-presenting cells for T cell priming. DCs functional plasticity allows shaping the outcome of immune responses to achieve the required type of immunity. Therefore, the choice of adjuvants to guide and sustain DCs maturation, the design of multifaceted vehicles, and the choice of surface molecules to specifically target DCs represent the key issues currently explored in both preclinical and clinical settings. Here, we review advances in DCs-based vaccination approaches, which exploit direct in vivo DCs targeting and activation options. We also discuss the recent findings for efficient antitumor DCs-based vaccinations and combination strategies to reduce the immune tolerance promoted by the tumor microenvironment. Prof Bill Cookson gave a talk on Whats happening in the Lab. William Cookson is Professor of Genomic Medicine at Imperial College London and Head of Respiratory Sciences for the College. He is Head of the Asmarley Centre for Genomic Medicine at the National Heart and Lung Institute. He won a Joint Wellcome Senior Investigator Award with Professor Miriam Moffatt in 2011, and was elected to the College of NIHR Senior Investigators in 2013. Many of the genes identified by these studies are concentrated in the airway epithelium, so that asthma is now recognised as a disease of the airway mucosa. Genes identified by the group such as ORMDL3, IL33, TSLP and IL18R1 are the focus for new asthma therapies. In addition to detailed investigation of the functions of these major asthma genes, the group are also systematically charting inflammatory pathways by gene expression, RNA sequencing, and gene knockdowns in cellular models of inflammation. These studies are the basis for developing new therapies for asthma and mucosal inflammation (genomic pharmacology). The group have pioneered gene expression mapping to identify the function of loci identified by genome-wide association studies. The resulting comprehensive maps of expression quantitative trait loci (eQTLs) (Dixon A. et al., Nature Genetics 2007, Liang L. et al, Genome Resarch 2013) have aided the systematic detection of genes underlying many complex disorders and have contributed to the 1000 genomes project. The group are currently concentrating their mapping efforts on the epigenome, by measuring changes in the methylation of particular regions of the genome that regulate gene expression. Their early results suggest that this will be a rich source of new biological insights into asthma and allergic diseases. A parallel strand in the group’s work has been to understand at the molecular level the interactions between genes and environment, with the realistic hope that this will lead to effective prevention of the disease (Cookson, Nature 1999). Cookson was co-coordinator of the mutinational GABRIEL consortium that made many discoveries about the effects of genes and environment on asthma in Europe (Moffatt M. et al., New England Journal of Medicine 2010; Ege M. et al., New England Journal of Medicine 2011). In the face of a prevailing wisdom that the airways of normal individuals are completely sterile, the group were first to use DNA sequencing to show that the airways contain a characteristic microbiota, and that this bacterial community is disturbed in patients with asthma and COPD (Hilty et al., PLoSOne 2010). Studies of the airway microbiome are now a central part of the group’s research, as they apply culture-independent sequencing methods to other lung diseases, including pulmonary fibrosis, cystic fibrosis and bronchiectasis. The group are developing large-scale genomic studies of lung cancer, in collaboration with G.M. Lathrop at McGill Genome Centre in Canada. They are currently sequencing multiple lung cancers to identify the full spectrum of mutations driving the disease. At the same time the group are measuring global gene expression to define new therapeutic targets. We hope to see our researchers follow the success seen in many other cancer types in the next few years. They set up the mesothelioma research network (MRN) to bring together researchers working on mesothelioma. The MRN helps researchers share ideas and support each other, to get better results faster. We hope it will mean that researchers’ great ideas can be more quickly translated into new ways of diagnosing and treating people with mesothelioma. What does the MRN do? Researchers based in the NHS or an academic institute who work in, or have an interest in working in, mesothelioma. Basic and translational scientists and clinicians at any point of their career, from the earliest stage through to senior and established researchers. We encourage health care professionals that are based in secondary care and who see mesothelioma patients regularly to join the MRN. This way you can keep in touch with ongoing clinical research that may benefit your patients. Research support organisations that directly assist with mesothelioma researchers can join too. This can include funders of mesothelioma research that usually spend more than £25,000 a year. The views of patients and carers are fed into the project by their representation on the Steering Group responsible for overseeing the MRN, but the network itself is aimed at researchers. Jill Lemon Spoke of all the fund-raising carried out by so many Mesowarriors. Jason Addy spearheaded the victorious campaign to stop 600 homes being built on the site of a former asbestos factory in Spodden Valley. Local people feared the £100m scheme would release harmful asbestos fibres into the air from the old Turner and Newall site. And the 41-year-old says research for his PhD at MMU’s School of Law was crucial in underpinning the campaign. Jason also took advice from Professor Geoff Tweedale, of the university’s Business School, one of the UK’s leading authors on the asbestos industry. 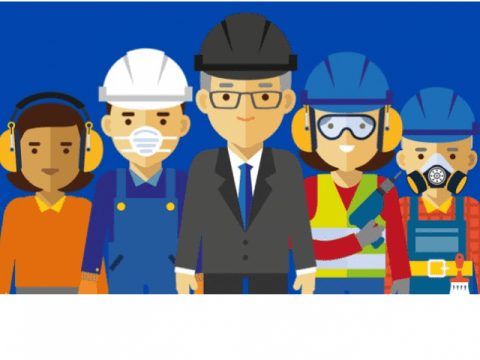 “Our six-and-a-half-year campaign has confirmed that thousands of tonnes of asbestos waste is dumped on the site – it was a very dusty factory which had produced asbestos since 1870. “We feared demolishing the building and disturbing the soil could release this hidden killer again,” he said. The Save Spodden Valley campaign went right to the top of government with locals meeting the Prime Minister and submitting several motions to Parliament. Rochdale Council said there was not enough detail about how the site could be developed safely to allow plans to proceed. Victoria Adinkra Fatigue and How to manage it. Mesothelioma UK has launched a specialist, UK-wide service for armed forces personnel and veterans. This new service is called ‘Mesothelioma UK – Supporting our Armed Forces’. Development of the service is supported by Government funding from fines levied on the banking industry for manipulating the LIBOR rate (the London inter-bank lending rate). Mesothelioma UK – Supporting our Armed Forces aim to raise awareness of the disease and establish a comprehensive shared approach to providing mesothelioma information and support for armed forces personnel and veterans. But the journey home was plagued by bad lorry drivers (foreign) and accidents on all the Motorways. One we were at the head of the queue as the policeman run out in front of us to hold the traffic while he then through cones to the hard shoulder these had been used to close the outside lane. Goodness they risk their lives !!! We went on our way and we got to Rochester hugged Marika goodnight got into the lift onto the platform and a train arrived chose the front for coaches as the train splits at Faversham and what happens. At Gillinham the message came over that there was a fault so would all the passengers change s the front 4 coaches are now going to Deal so we need to be in the back 4 coaches. Have you ever seen a train of passengers all changing around like that. It was hilarious but we all ended up chatting it was like a big party. We were so pleased to fall in the front door and have a coffee. Treatment on Monday those 2 weeks come around to quickly and the traffic was so bad right from Maidstone M20 so you just know its going to be a long drag. It was a 6 car knock so once past that we picked speed up. The ward was very busy but I was the only Meso Patient and that is because there is only 1 other trial running there I do hope that picks up in the new year. We went to LASAG Support Group in Canterbury where we learnt the sad news that a lovely man who ray and I got close to had died, such sad news. We also had a good meeting talking to new members on our table. We were asked to come up with new ideas for Mesothelioma UK Day next June so we had a good time coming up with ideas for the day and for raising funds for the group. London again for a Board meeting of MNF and we found that getting off at Mansion House walking up bow lane we come out right by the side of head office. That makes our life so much easier as I hate Bank Station. It’s far to large and you have to walk miles. The best thrill of the day was the lifts that have been built in Victoria station to the underground. That is really a huge help. We had to leave very early again as we had to get to the QE11 Building at Westminster as we were talking at the B&CE event. Something had happened on the Central Line and the workmen had to repir the line so there wasnt many trains running in the tube. The gates were closed and the build up was huge right at rush hour. Finally the gate opened and we were able to go to the tube but was told there wasn’t many trains running. We sneaked through barrier saying we were going for the Jubilee Line but as we did that a man told us there were a few trains running when they could. With time running out we did get on a train and arrived at Westminster right on time. Paul will present ‘Health surveillance and monitoring for asthma and COPD – current best practice’ and ‘Silicosis – diagnosis and health surveillance’. Other speakers include Mavis and Ray Nye from the Mavis Nye Foundation, who will speak about their journey and experience of surviving mesothelioma; Sue Brandrick and Tim Shambrook from HSE; and Margaret Grahamslaw, Head of Occupational Health and Wellbeing at B&CE, who will give an update on their occupational health management scheme. We walked to the Venue and was greeted like a long lost friend. Ray and I spoke first and once again everybody loved our presentation. It does go very well our double act. Lunch and then Paul spoke again Diagnosis. It was really great even if the poor man had the most outrageous cold. It has really led me down the path at HSE and safety at work. It was a wonderful day and thank you so much for the collection for my Mavis Nye Foundation I have banked £70.12. We did a video interview for them and I cant wait to see how they use it. Off we set in the very early morning for the 5.47 train to London but changing at Faversham we lost time. Arriving at Victoria and finding the Brighton train we lost more time. Changing in Brighton we lost more time for the Falmer train Wow !!! was we glad to get to the American Express Stadium even if we was late and by the time we found the right room where the venue was we were seriously late ad had to walk in after it was well under way. But we got a cheerful hello and do come in from the speaker Joe Murphy who is Head of Health and Safety, security at Southern Water. So we soon settled as a check for £137,000 was handed to Air Ambulance. how amazing was that and to a very worth while cause as we need the service on our busy roads in Sussex. When we had a break for coffee I met up with families faces so we soon settled in chatting and being introduced to new people there. Back in the conference the next speaker for ATT Adan Christopher was amazing. It was involvement of being a controller and the controlled. management and men. But that was the best bit what was great was the showing of a film of an accident that took place where a construction worker worked on a Saturday on a site in London and a very bad accident took place where he drilled through an electrical cable and was seriously burnt. The audience was able to question him on his reasons why he allowed the job to carry on when there were problems with the drawings etc. He went back out the door and walked back on site and the same happened with the other two workers It was just brilliant. This really should be take up by other Companies. It brings accidents to the conference room and people can ask questions and from this so much HSE can be learnt. These accidents do happen and they must stop. people must talk to each other and all precautions taken. Two construction companies have been fined £90,000 after two workers were seriously burned, and one scarred for life after they cut into a live 11,000v electrical cable. One of the men, who was 22 at the time of the incident, hit the cable with a jackhammer when removing old brickwork and suffered serious burns to his arms, legs, hands and face. He was in hospital for nearly a month receiving treatment to his injuries. So like asbestos let’s make the world a safer place to work in. I have learnt so much from this presentation. So it was lunch time and we had a great time talking to the exhibitors and making new friends swapping cards. I found this video of her so it explains it all so much better than I could write it. Then it was Rays and my turn and as always Ray was so good telling his journey. The audience just love him but like me were so tired by then and we both felt we didn’t give our best. I followed and you can see what a big setting it was. But it went down so well and everyone clapped and came up to wish us well and thanked us. I think we did a good job in raising the awareness to asbestos. We said our goodbyes and our friend Keith Holes drove us to Gatwick were we were better able to get a faster train to Victoria and on a train to Whitstable so we were home sooner than we had worked out. Tired but very happy it had been a very interesting day.